If you bought a product and it malfunctions within the given time period in the product’s warranty, contacting the business that provided you with the product may not be enough. You need to ensure that you have kept the receipt of your purchase as well as the service agreement that provides the coverage of the services that can be given by the business in relation to your concern. 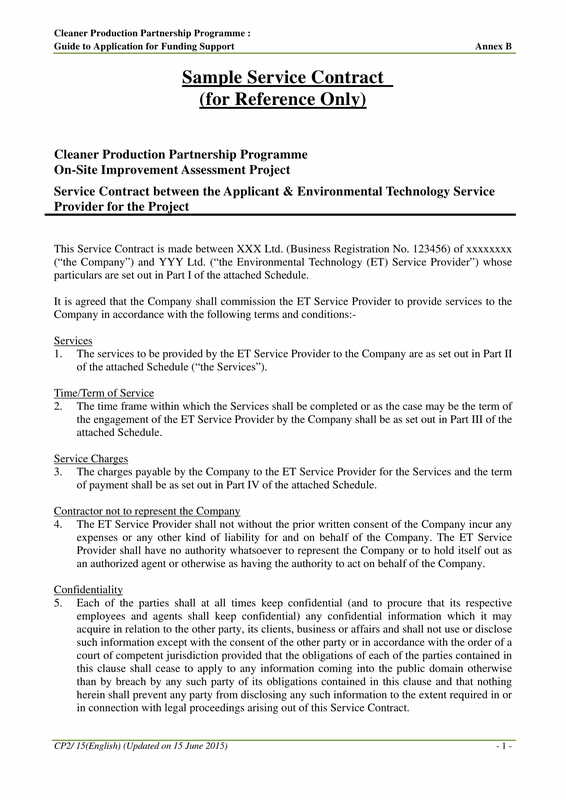 Even if a lot of service agreement contracts work this way, the usage of this document is not limited to this matter. There are also some service agreement contracts that are used as references whenever particular services are acquired by clients from different lines of businesses. 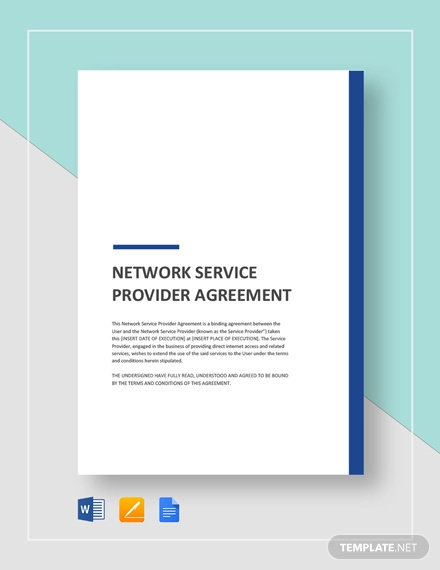 To guide you in the creation of your own service agreement contract, we listed several examples of service agreement contract templates in PDF. It will be best if you will browse through the selection of downloadable examples that we have provided you with and choose the best template that you can use for your contract formatting and development. 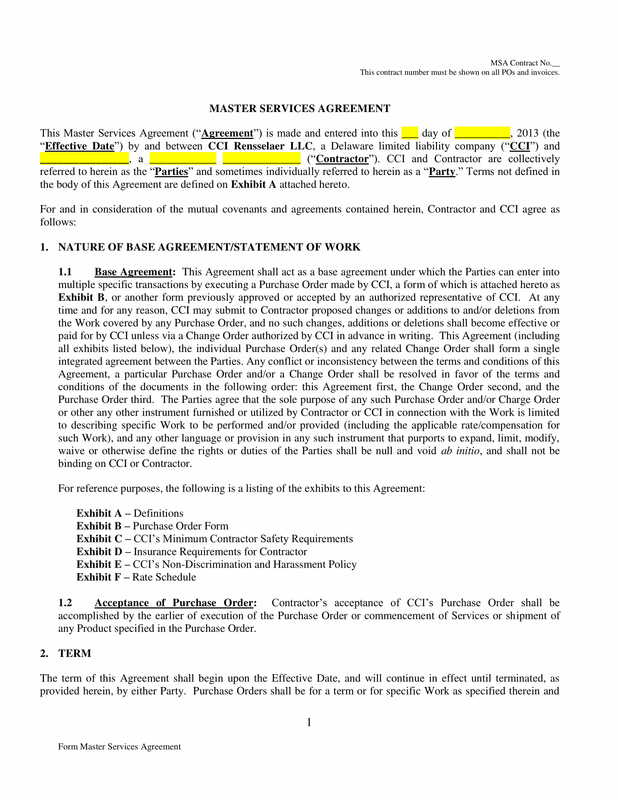 What Can You See in a Simple Service Agreement Contract? Agreement contracts are still used nowadays as they play a vital role in ensuring that credibility, transparency, and trust are present in every transaction. Even if you fully trust the individual or the group entity that you will be doing business with, it is still important for you to make sure that you are fully protected within the entirety of the agreement’s plan of action execution. Take note that there are different kinds of service inclusions that are added as a part of the warranty for your purchase. Some of the information listed above can be present or not depending on the specifications of the service agreement contract made by the business where you purchased an item. 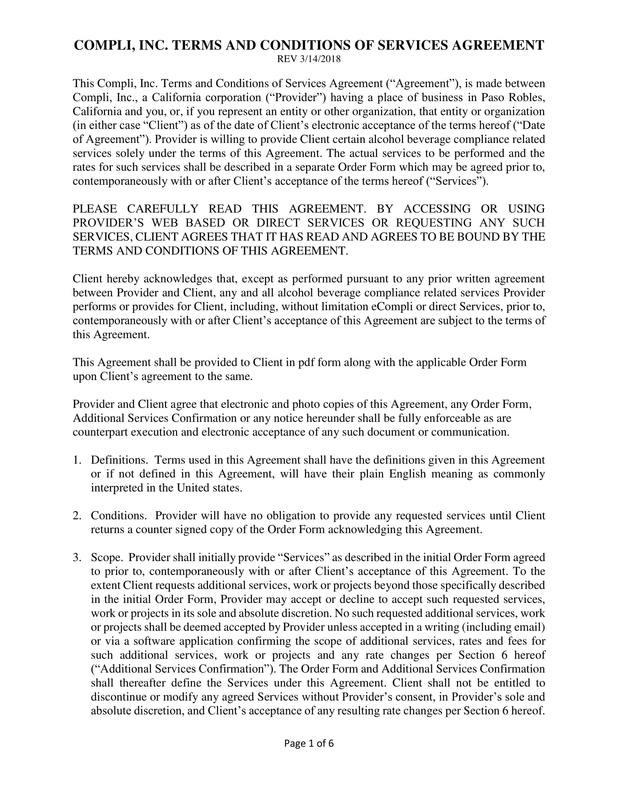 A service agreement contract states the actual services that clients or customers are entitled with once the products, materials, equipment, or other items that they have brought from a business malfunctions, fails, or breaks. Of course, there are specific conditions that must be met so that specific services can be given by the establishment where the item is from. This is advantageous not only to clients but also to businesses as there will be a set of guidelines that can be looked into should particular services be needed. 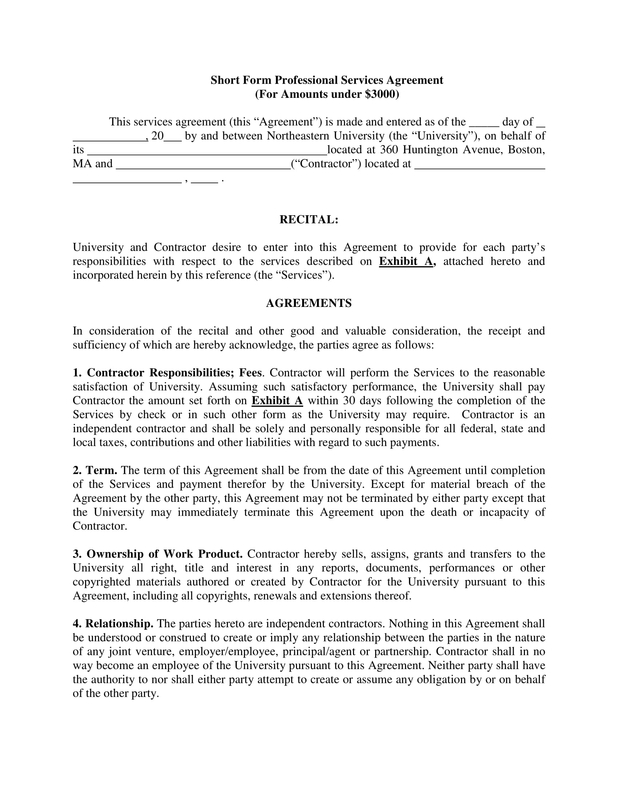 A service agreement contract is usually seen in consumer products. However, this is not limited to electronics and appliances as service agreement contracts can also be used for any items that require regular maintenance, updating, and/or repair. If you will buy a product, it will be great if you will first check the warranty guidelines and service agreement contract that comes with it. A service agreement contract is not always included in product warranty. Creating a service agreement contract is still optional and is based on the decision of the business that you are transacting with, which is why you have to know whether this document is included in the warranty features of the item that you have bought. Being mindful can allow you to have a better decision-making process, which can also help you to select the product that suits your needs in consideration of its warranty and the added services that the business can give you within a specified time period. A service agreement contract has its own costs since additional services will be provided aside from the actual value of the product that you have bought. However, the cost of this contract is actually added already to the retail or overall price of the product sales. 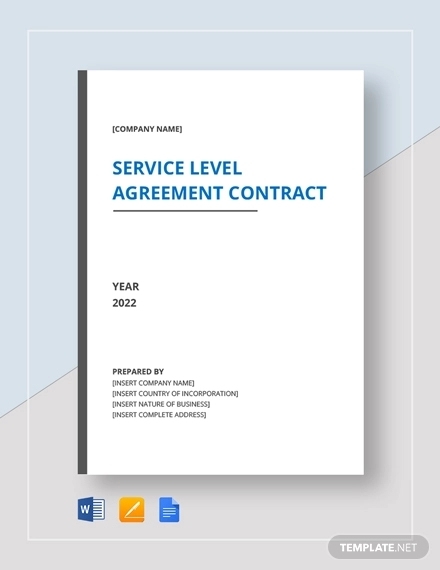 Being aware of this fact can help you to become more confident when it comes to using the specifications of the service agreement contract content to your advantage as you have actually paid for the services that the business is willing to provide. 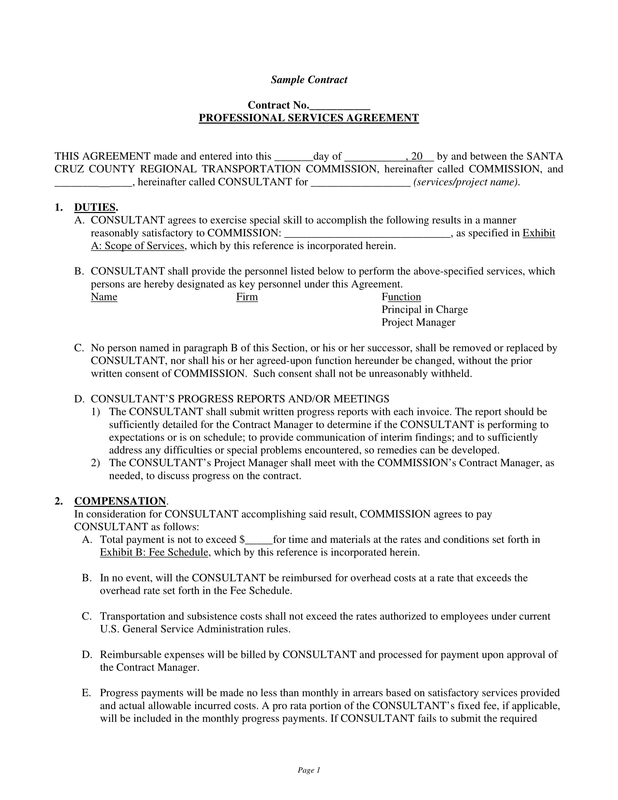 A service agreement contract is a usual or common document that companies use in every sale of their product. This can be observed in the sale of cars and appliances. This is for the reason that companies consider the entitlement of the customers with these services since the products that the business sell usually need these services to last or function for a longer period of time. Using a service agreement contract can specifically describe the value of the services that a business can provide within the course of a particular purchase transaction. This can promote understanding between the customer and the business as they can consider the content specification of the service agreement contract should misunderstandings occur. You might also want to learn the key differences between agreements and contracts. 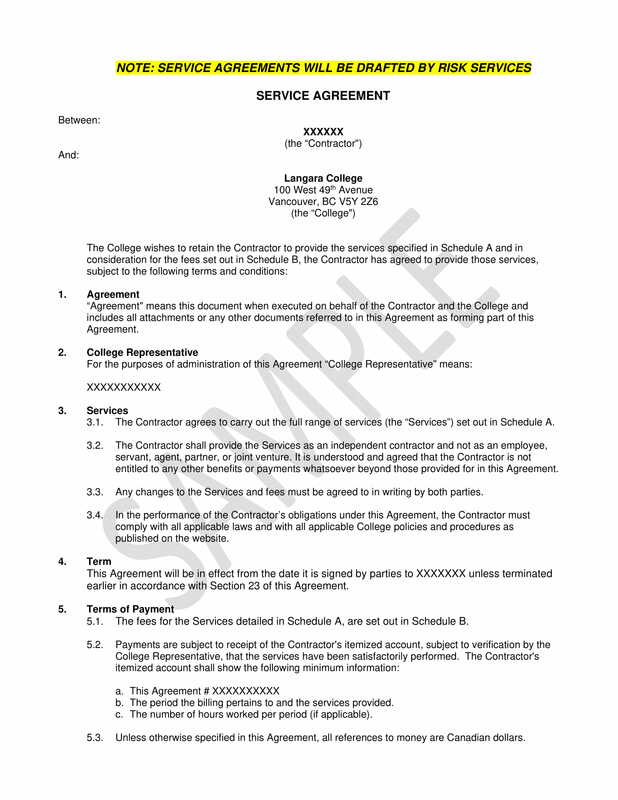 Using a service agreement contract can help you enumerate all the details of the transaction’s terms and conditions. Discussing these items thoroughly can set the boundaries of the services that the clients or customers can expect to get. This is very important to be considered as the availability of promised services can actually affect the perception of the clients about the business and its ability to deliver what it says to customers. 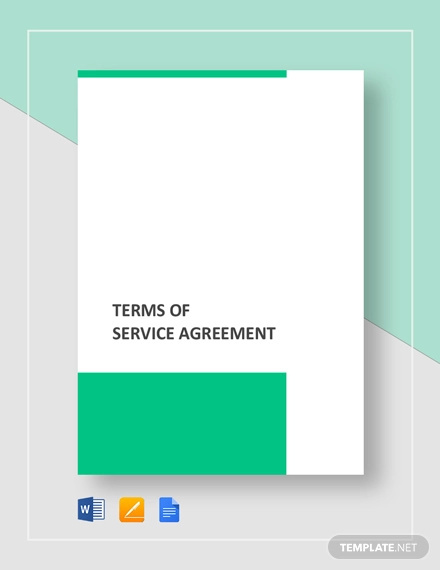 Using a service agreement contract can list down all the kinds of services that the business can execute depending on the item purchased by their clients. This is a good starting point if businesses would like to clarify any information about the warranty of their products as well as other items that are related to the rights of the client within the warranty period. 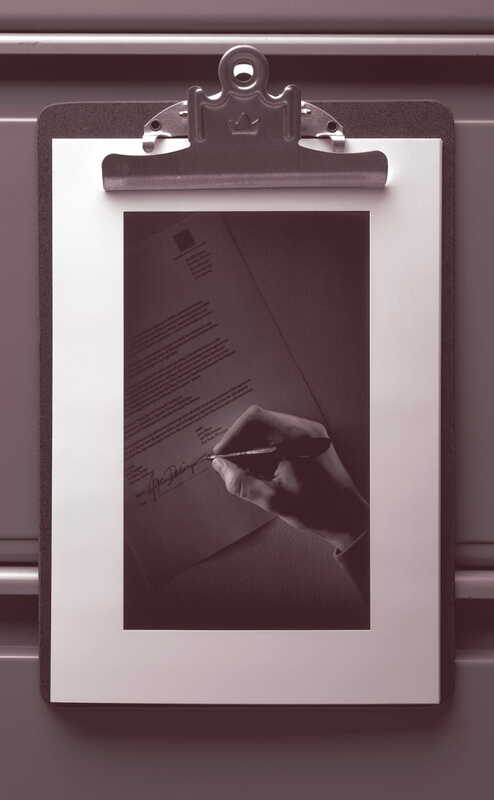 Using a service agreement contract can help you ensure that the business and the consumers are aware not only of the rights that they are entitled with but also of the responsibilities that they have with one another. This is very important as all parties must know how to protect their intentions but they should also not forget that there are deliverable that they are expected to give based on the content of the contract. 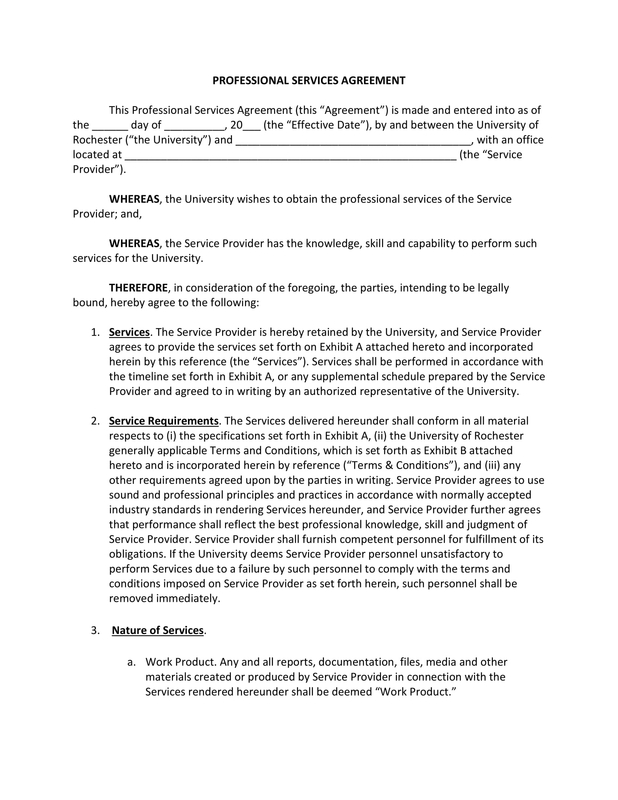 Using a service agreement contract can help you focus on delivering the standard factors and elements of an effective contract while ensuring that you will have an organized discussion of the service agreement. This means that you can focus on the technical aspect of the discussion but in a way that the entire document can still be easily interpreted and understood by the people that you will be transacting with. 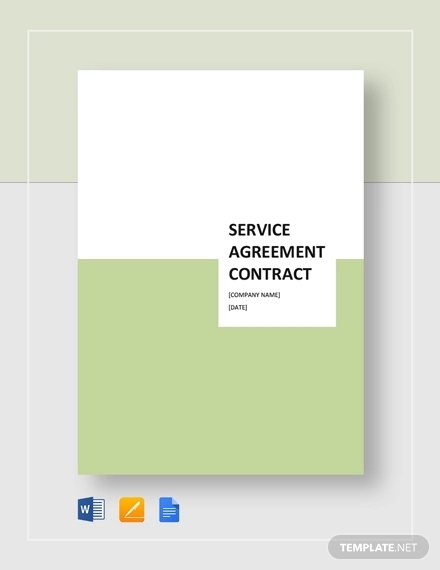 Properly discuss all the provisions that are included in the service contract agreement. You have to present indemnification, liability, confidentiality, and insurance clauses accordingly so that the document will not be vague which can mislead clients in terms of what they can expect out of the transaction and the document’s usage. Ensure that your service agreement contract can properly address service scopes, liabilities, and other technical aspects that can affect the implementation of the document’s content. You have to be specific and particular with your discussion so you can clarify all issues, inquiries, questions, and concerns. 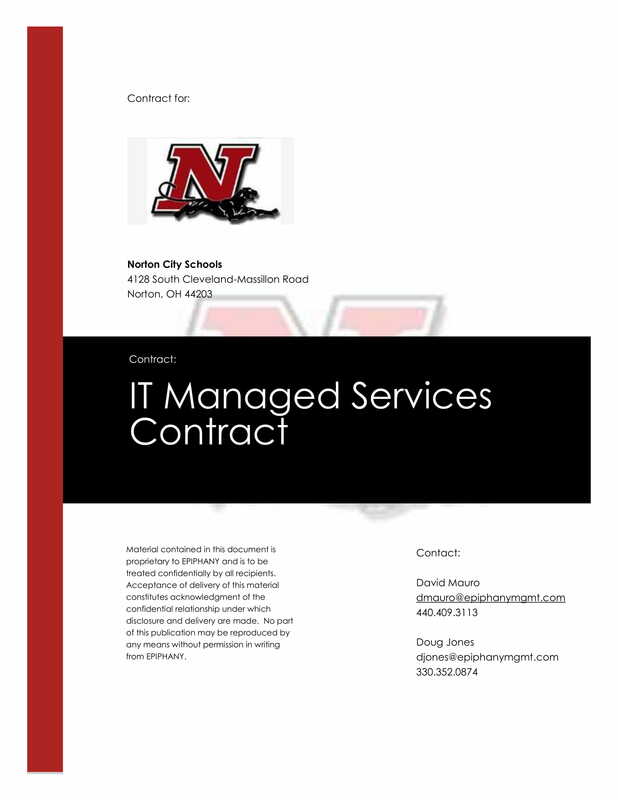 Use templates and downloadable examples when creating a service agreement contract just as how the development of a vendor agreement and other kinds of contracts benefits from having formatting and content creation guides. Do not be confused with a service agreement contract and a professional service agreement. The latter deals with the employment of professionals and the contract that binds the business and its potential employee while the former serves as a proof or an evidence that a particular item can be serviced for purposes of maintenance, repair, and the like. Are you ready to develop a functional service agreement contract? Download any of our examples. 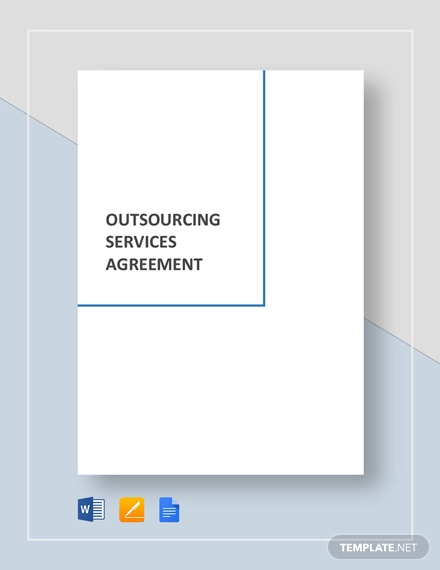 Once you have already found the most suitable and fit reference, start drafting the service agreement contract for your business. Know more on the key differences between unilateral and bilateral contracts.